Whether it’s a job relocation to a far away country or facing company rapid growth, change is the new normality. How well do you handle cultural change? Take my FREE test and find out how I can help you to navigate it! business teams, professionals and private individuals to manage across cultural diversity. Hello, Ciao, Namaste, Ni Hao, Ahoj! 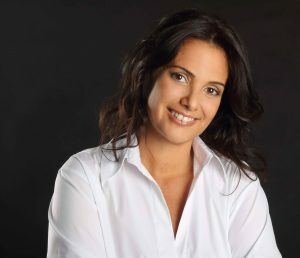 I am Francesca, business and life coach specialized in cultural changes management and integration, and these are just some of the languages spoken in the countries I lived so far as a child, young adult or mature professional. My life story adds up to 20 relocations (so far!!) in 12 different countries, 9 schools and 6 jobs changed, 5 of which were start-up projects. Change, travelling and diversity are the essence of my life, that’s where I draw my inspiration, energy and drive. If your business path, professional career or individual story brought you in a situation where you are faced with difficulties caused by cultural change, you should keep reading. I support professionals living abroad and their families to manage and leverage across cultural diversity in the workplace and at home. I support businesses going global to achieve excellence in performance by making cultural intelligence part of company culture. My coaching programmes will help start-up founders go through the change of moving their business forward, from being one man show to a performing larger team. I am a certified Coach, member of the Association for Coaching (AS) and a licensee for mapps®, a training and coaching method developed by Trivioquadrivio, a collective ingenuity consulting firm which has been assisting companies to create value for the community by working on consultancy, the project and methodological innovation for more than 20 years. mapps® is a business tool and a learning organisational methodology that uses the metaphorical language of geography to transform the challenges of change into a ”travel itinerary”. I was fortunate to coach so far some amazing people and to be learning a lot from their experiences. Here is what they say about their coaching experience guided by me. The most effective way of testing our compatibility in terms of needs and expectations is to schedule a FREE 30 mins discovery call on Skype or mobile phone. Whether you are an in need of individual coaching or representing a company facing cultural change, please check my calendar and don’t hesitate to book it! I can’t wait to meet you!